Download Free Wall Frame with Laptop Mockup. This free mockup shows wooden frame hanging on a wall and laptop desk underneath for realistic working environment. 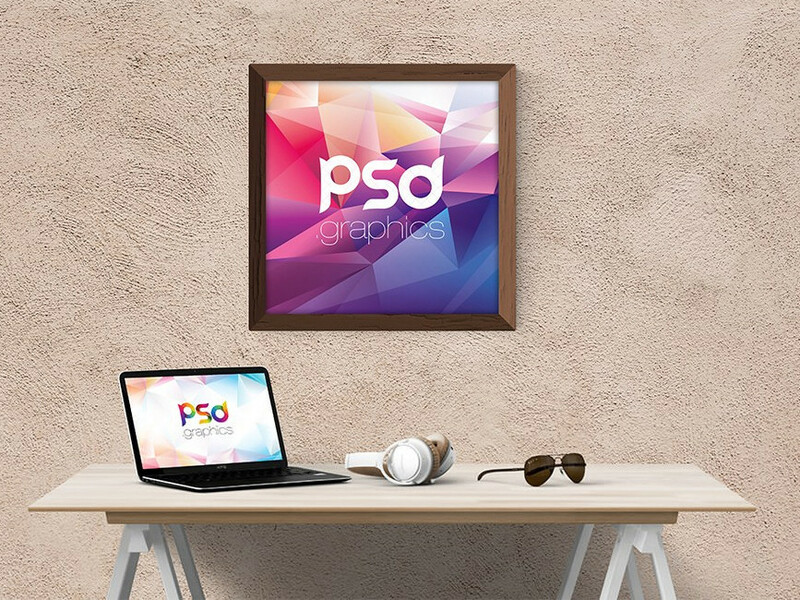 The PSD file comes with a smart object for wall frame and laptop display. Good job done by PSD Graphics.